Join us for an intergenerational “Adventure Anchored in Christ.” This special camp provides grandparents and grandkids with adventure-filled days to pray and play together. Life-long memory-making adventures can be expected! 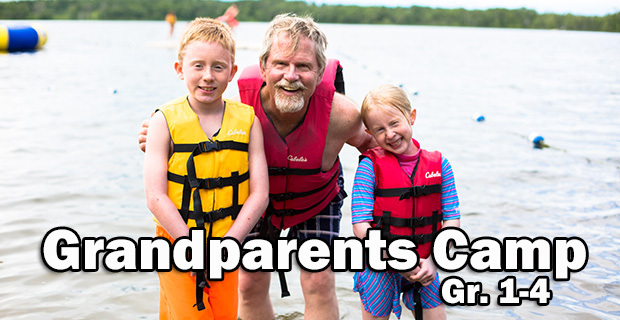 Grandparents and grandkids entering 1st – 4th grades will stay in the comfortable, adult-friendly accommodations of the Christian Center, but spend their days at Pelican Lake. Feel free to bring your motorhome if you prefer. Camp begins at 5:00 pm on Sunday and concludes at 7:00 pm on Tuesday. Camp begins at 1:00 pm on Wednesday and concludes at 3:00 pm on Friday.